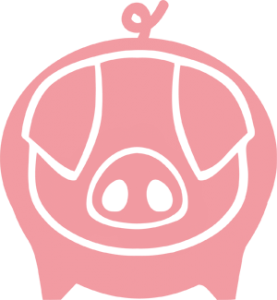 Home / Blog articles / 3 Reasons Why You Should Take The Pig Pledge Today! 3 Reasons Why You Should Take The Pig Pledge Today! Farms Not Factories is asking people and organisations to join a global movement against animal factories and sign the Pig Pledge to only buy pork from high welfare, sustainable farms – or to go meat-free. Already over 3,500 people have signed which means, because they will never eat factory pork again, that 26,500 pigs are being spared from lives in barbaric factory farm conditions. In order to keep livestock alive in the overcrowded, unhealthy and squalid conditions, they have to be given antibiotics routinely, against the advice of public health experts and doctors. 45 percent of all antibiotics sold in the UK are used for livestock farming, not human medicine. Soil, water and meat is being contaminated with drug-resistant strains of diseases, triggering human illness and fatalities. This month (June 2015) a documentary produced by the Guardian revealed that 9% of pork samples from four leading British supermarkets were contaminated with the antibiotic-resistant superbug MRSA. 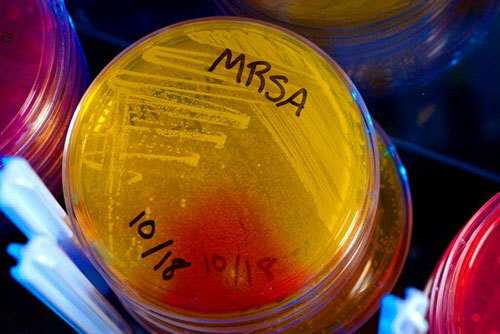 Don’t fancy a side order of MRSA with your pulled pork? Pledge to purchase meat from real farms. Pigs raised on these farms rarely need antibiotics because the pigs are happy and healthy. If you’re pledging to eat less meat, or to go meat-free, you are more likely to avoid heart disease, diabetes, obesity and cancer, all directly linked to the amount of meat we eat. Although UK welfare standards are higher than the EU minimum (cages for pregnant sows are not allowed), we import 50% of our pork, and 70% of those imports have been raised in welfare conditions that are illegal in the UK. By pledging to purchase pork with a high welfare label you’re supporting sustainable and humane animal husbandry. Because animal factories save money by overcrowding the animals and irresponsibly over-using antibiotics to keep them alive in unhealthy conditions, and by polluting the air and water, they undercut small humane farms and force them to ‘get big or get out of the business’. Want to know where your food comes from? When you pledge to purchase your pork from local pig farmers you’ll help keep family farms afloat, providing employment, investment and stability in rural communities. If there’s no welfare label on the packet, don’t buy it. 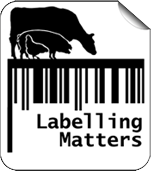 Look for Labels saying Freedom Food, Outdoor Bred, Free Range or Organic. Or ask for high welfare pork at your local butcher, farmers’ market or online. 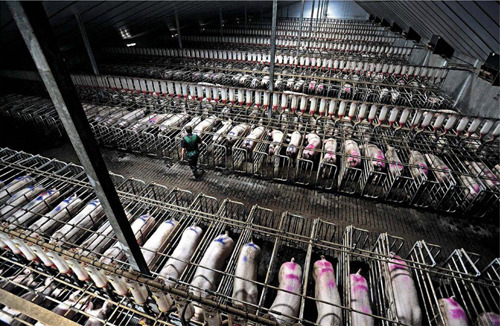 Over 500 million pigs worldwide are kept in intensive conditions.To ensure they are ready for slaughter as soon as possible (as little as 5 months) they are fed corn and soy, most of which is genetically-modified, grown on cleared Rainforest and treated with chemicals that cause cancer, deformed births and skin diseases in local residents. 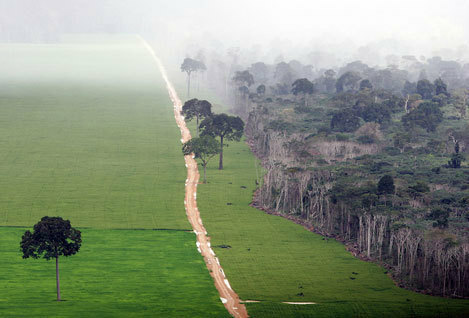 This energy-intensive system also means that factory farming is a major source of greenhouse gas emissions. So, by pledging to purchase your pork from local, ethical farms or by choosing a plant-based diet, you can help promote environmentally friendly farming methods and help reverse the effects of climate change. Cheap pork comes at a price we really can’t afford. Join the global movement against animal factories and sign the Pig Pledge today!